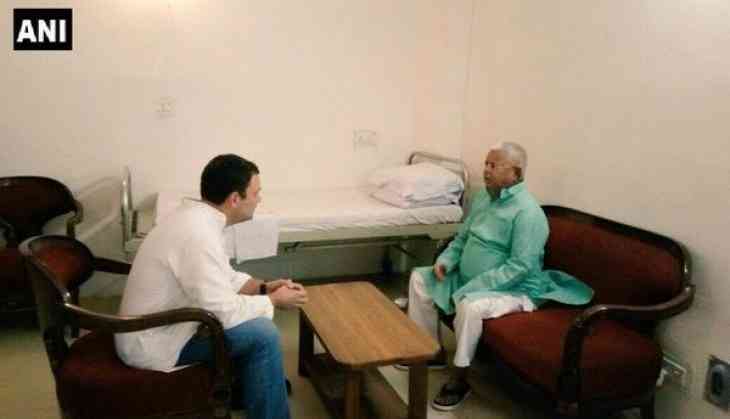 Congress President Rahul Gandhi on Monday met Rashtriya Janata Dal (RJD) chief Lalu Prasad, who is undergoing treatment for various ailments related to heart and kidney at All India Institutes of Medical Sciences (AIIMS) here. The imprisoned minister, who was admitted to Rajendra Institute of Medical Sciences (RIMS) in Ranchi on March 16 after he complained of discomfort at Birsa Munda Jail, was later moved to the AIIMS. The suggestion came after the medical board at the RIMS reviewed the condition of Lalu Prasad and found that his sugar level was high and increasing. They also said that he had developed some renal problems.